How To Win The Mind Conflict Over Your Cheating Husband And Marriage. Hi, it’s been a while I wrote you through this platform. I've been attending to lots of direct counseling while pushing heavy prayers for you all along. I pray for you regularly, calling your name to God and commanding your husband to break away from that affair and be faithful to your marriage. What a joy that many heart-warming testimonies flood my inbox daily. I hope to make room to publish more snippets of the Praise Reports soon. I tell you this not to make you feel good but to get you expectant and ready for your own answer. But I still insist you do your part, not only in the physical but much more in the mind. You see, prayer has to do with the state of your mind plus the physical release or utterance. Now, check yourself: Do you believe you are the kind that will pray and receive? What do you imagine the outcome of all these fervent prayers would be? 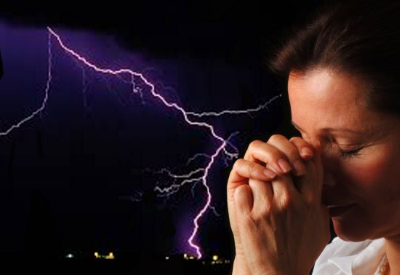 Do you think evil and immorality can ever win Godly prayers and counsel? The believe, the imagine and the think in those questions are all very critical mind matters. But you still have to deliver what you believe by your confident utterance. That is the physical part. I will be sharing a few life-changing prayer lessons today. Some of my own personal story will jump into the mix to charge you to step up your prayer life. For I know that this will turn out for my deliverance through your prayer, and the supply of the Spirit of Jesus Christ. I want to tell you that I love to pray! Well, that shouldn’t be a great revelation. The thing to note, however, is that it wasn’t always like that. God called me into this Ministry, but I resisted Him! Not once, not twice. He didn’t give up on me, He called again…and again. But I was fine being a bubbling professional and good Christian, attending fellowships and receiving messages. If there was a need for prayers, I was there. In evangelism and support for the Church, you can count on me. Nonetheless, God wanted another role for me, I knew it but I preferred to be left alone! Eventually, He had His way and got me into this Ministry. He also brought you here so that you would be helped. Believe me, EVENTUALLY, God will have His way in your life and marriage in Jesus Name! I was forced by needs to develop the attitude for prayer at a stage in my life. A time ‘cometh’ in the mix-up of life that you realize your things (whatever) are hopelessly out of joint, and all your advisers are just pretenders. Then somehow, deep inside, you know that it’s only God that can re-order those things. In other words, you need a miracle. You don’t need a miracle when all is good and sitting pretty with you, do you? Prayer is a privilege to cook a miracle. …Until the love for prayer entered. Did I hear you ask how? The love for prayer comes to you when you pray a thing, and get it. Oh, what a feeling! If you pray again, using same methods, and it hits, then you become infected with the incurable love to pray! Yea, because you can change things in your inner room when you pray the right prayer… the right way. All the time! It doesn’t matter what comes my way today, if it’s not God’s will for me, my prayer shall change my world. And there’s no room for second thoughts on that. I also found out that if I agree with another (like you!) over a thing, and pray with you consistently, we receive – just like the scripture assured in Matthew 18:19. That’s the kind of made-up mind I employ for all the prayers I agree with, including yours. See Philippians 2: 4-5. The prayer grace is called the Spirit of Prayer and it can be received through words of impartation like the ones you are reading now(John 6:63). Prayers Don’t Fail, People Do. Today, I’m going to help you get the winning prayer mindset for the change of your husband and healing of your marriage. This is so important because without it, you’ll be suffering spiritual mood swings which will rob you of victory. •	Weakness in Prayer. The greatest contributor to this weakness is prayer weariness. Many have prayed for so long without result, therefore doubting the ability of prayers to deliver. However, right prayers, correctly delivered cannot fail. A few simple rules go into making victorious prayer: person, point, practice – in that order. The person praying, the prayers pointing to the specific will of God for you. Then you must practice. A prayer point not prayed is useless. •	Fear of Failure. Many fear so much that their prayers will not work that they are paralyzed to try. When they attempt, it’s only the less significant part of them (their body) that ‘fulfill all righteousness’! Much of this fear come from the failures of others around them, or taking advice of those who are not informed Christians. Both factors are symptoms of the distance from the word of God. 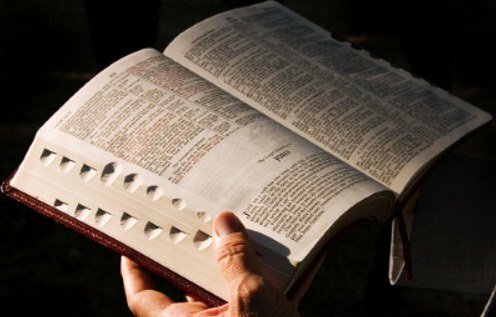 If you are far from the Word of God, you are indeed far from God. If you are not hearing God’s word, you’ll be hearing the words of the world or the devil, which is the word of hopelessness. Here we want to see the two commonest signs of praying through. •You feel peace and quiet within after prayers, often with a word or song of hope. • You receive an impression or counsel on what to do or undo. Often this comes with recalling a past event, issue, dream or error. If You Really Believe God Will Answer You, He Will! My advice is keep praying and never stop until you see the salvation of the Lord. It doesn’t take long if you know what you are doing. The attitude of prayer is the attitude of possibility! If you think you are unworthy to make your cheating husband break away from that affair and come back to you, tell your prayer partner – me! The earlier this is resolved, the better; otherwise your prayer (and mine for you) will be a waste. When you are praying for your cheating husband, the change comes in levels, not at once. The prayer that perfects destiny is not a single prayer but cumulative prayer power over a period. 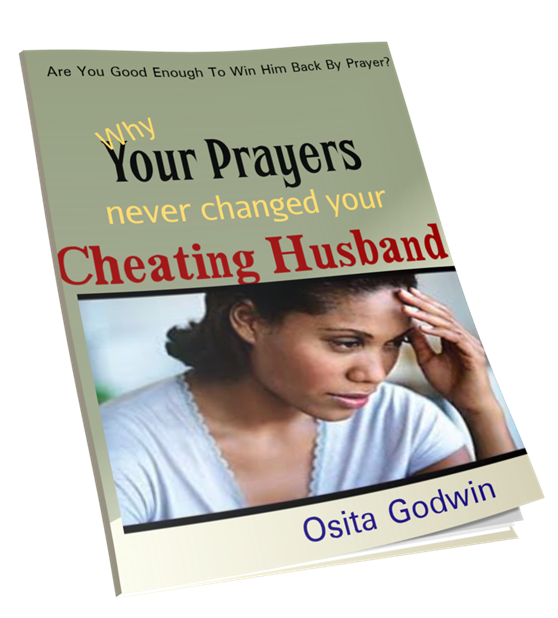 This eBook Will Give You A Confident Voice In Prayer For The Soul Of Your Husband. God impressed it on me to publish this eBook and give it to you for free. I perceive it’s for certain people who need a change of position in prayers for a change of story. If you haven't taken a copy of this eBook let me know. 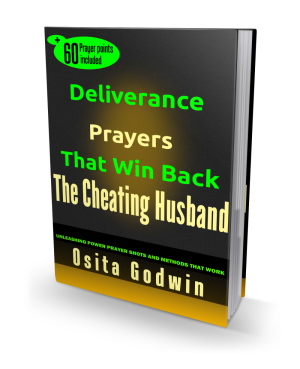 It’s free but we shall give it first to those who already downloaded the ‘Deliverance Prayers That Win Back The Cheating Husband’ because the two books are meant to work better together. So, if you purchased that eBook, send me a note to this email: prayerebook@cheatinghusbandsecrets.com and I will send you a link for this other free download. God will give you an answer of peace in your marriage in Jesus name! I invite you to like Praying For My Husband. We do share some other deep thoughts on how to pray for your husband and marriage on our Facebook page. Your Gifts Will Be Rewarded! I sincerely appreciate those who have sent us regular financial support to help the work of the ministry here. Your offerings will be rewarded by Him who knows how best to reward you. We lay those offerings before God, asking for His reward on your life and marriage. My God will never fail me as I pray on your behalf. If you are led to send us an offering, I'll be grateful. The Donation window on the website is inactive at the moment due to a technical hitch. But that is being corrected. In the mean time, please reach me for alternative means of sending your gifts. The major contents and the prayers would be retained (except someone shows strong reason to change any of them). However, we shall correct some grammatical and formatting errors, and perhaps, sprinkle the pages with some images. The eBook cover and title may also change. So, if you observe anything in your copy that should be changed, please send me details so that we can identify and make it good. Do You Still Need Our Prayers For Your Husband And Marriage? Membership of Help Me In Prayer! is also being reviewed. Many have had their prayers answered, and do not communicate or update us anymore. Therefore, we have initiated an automated filtering out of those that have not communicated us in the past one month. This will streamline our data base and make us more responsive to those that really need prayer help. The filtering out will start by March 25th, but you could send me a mail if you are in that category so we allow your name to stay on. But any one can still rejoin for free, afresh from the window on our website. Our upcoming eBook, 'Oh, God! Save My Children From Their Father's Blood' is almost ready for release next month, April. It's a deliverance book for every child in the circle of generational curse of adultery, immorality, cheating, divorce, drugs and crime from their lineage. Many of you already had testimonies from some of the prayers I sent you. You will need that eBook if your husband, or the father of your child, is challenged by immorality, divorce, drugs or criminal behavior. So, expect the knowledge and prayers that could give your generations rest on every side.